Ranbir Kapoor has always said it on record that he admires the Sanjay Dutt as his idol and wish to share the screen with the superstar. Ranbir Kapoor who essays a protagonist in the film Shamshera idolises Dutt as his hero and working on the film with the real Sanju has fulfilled his dream to work with his cine idol. The Film which traces the real-life events of Sanjay Dutt has garnered immense praise for the effective portrayal of Sanjay Dutt in the film. 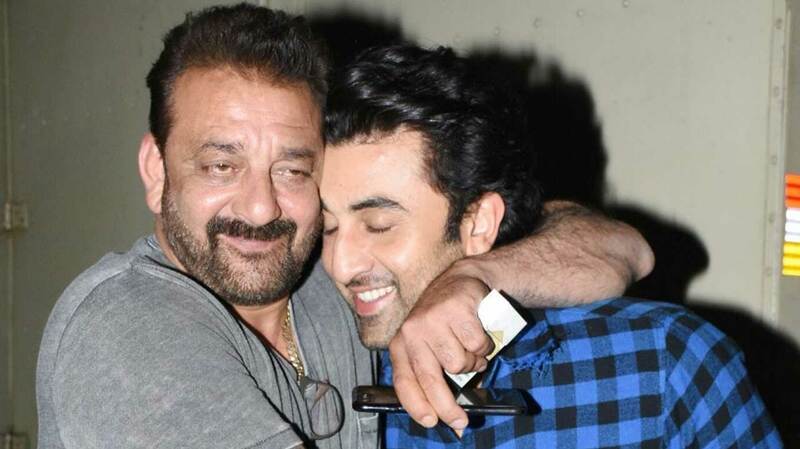 Ranbir Kapoor who has shot a special song with Sanjay Dutt in Sanju is excited to work with Sanjay Dutt. The actor who holds an excellent on-screen presence, for his tough and mainstream roles has inspired Ranbir Kapoor since he was a kid. From putting huge posters in the bedroom to share the screen with his idol Ranbir Kapoor feels mesmerised by the superstar’s unique aura which made him do the 2018’s biggest film ‘Sanju’ which grossed almost 600cr. And now working along with real Sanju in one film is a dream come true moment for reel Sanju i.e. Ranbir Kapoor. Sanjay Dutt has a chock-a-block schedule as he wrapped up his portions of Shamshera two weeks ago. After that, he went bald for Ashutosh Gowariker’s Panipat which went on floors in Mumbai on December 10 and the shoot is slated to continue till March. For the second schedule of the Panipat, he will undergo a makeover. Shooting for both period dramas will be wrapped up by mid-next year, after which Sanjay jumps into Mahesh Bhatt’s directorial Sadak 2 which will be shot start-to-finish schedule. In between schedules, Sanjay will squeeze in time to promote Kalank in March. But there’s much anticipation for Shamshera, as there’s real and reel Sanju together as a co-star. Next articleGuess Whom Shraddha Kapoor Has Taken Along With Her In Hyderabad?